One can only imagine my delight when I found out that there'd be a Japanese restaurant opening across the street from my apartment complex. After being a bit disappointed by the sushi buffet that had recently opened inside of the IsoKarhu shopping center, I was desperate for something, anything Japanese-y and decent in this city. Today, my wishes came true...sort of. 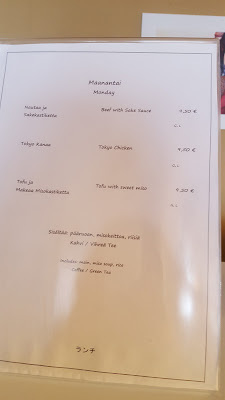 Maiu Japanese Restaurant and Asian Bistro(Finnish Maiu Japanilainen Ravintola & Aasialainen Bistro) was open for lunch for the first time today, and my coworker and I were their first customers. 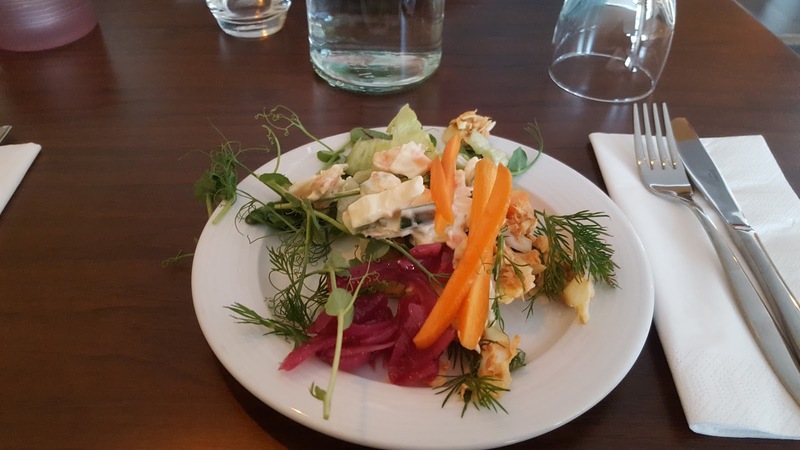 We were greeted by a friendly Finn standing at the counter, who provided consistently pleasant service for our entire meal. Maiu's lunch price is pretty standard. 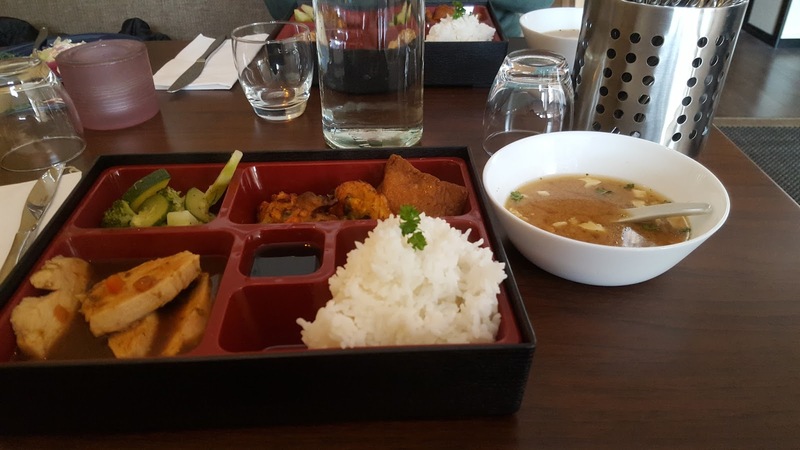 For €9.50, you get salad, a main course that's served with miso soup, rice, and vegetables, green tea or coffee, and water. Today's mains were beef in sake sauce, Tokyo chicken, and tofu in miso sauce. We both took Tokyo chicken, despite the fact the menu didn't at all explain what it was. I would have liked some kind of description on the menu, as you can't really expect people to just "know" what a particular dish is. I even serahced for "Tokyo Chicken" on Google, and the whole first page was just restaurant reviews for a place called Tokyo Chicken somewhere in the United States. I really enjoyed the salad table. It wasn't at all Japanese, but everything was fresh and flavorful. My main: I LOVED the bento box. I've never any Japanese restaurant in Finland serve me lunch in a bento box before, so this made me extremely happy. However, my chicken was a little dry. Everything had a nice flavor, but the chicken was difficult to chew and ended up getting in my teeth. My miso soup was also much saltier than I would have liked. Additionally, the broccoli and other greens pictured in the upper left of the box seemed to just be steamed. I would have much more preferred some kind of tsukemono(pickled things) that I've gotten from other Japanese restaurants. I finished off my meal was a fresh cup of green tea. My coworker had coffee, which he described as "decent." 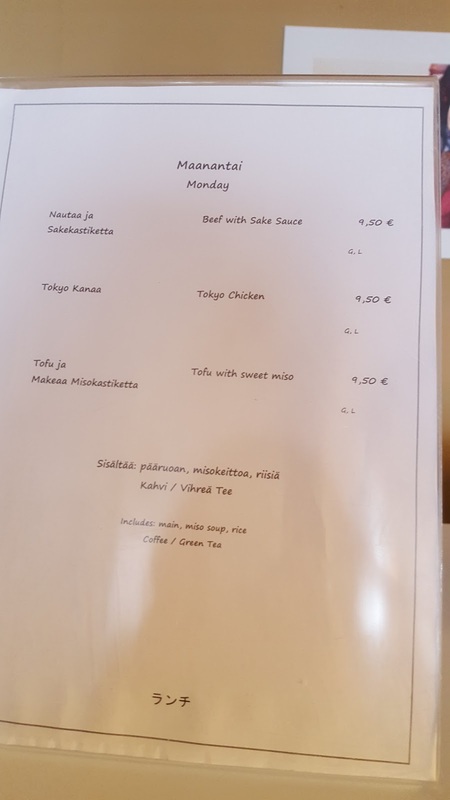 Frankly, even if our tea and coffee had been disappointments, they would have been upgrades from tea and coffee from other Asian restaurants in Pori. More specifically, Wandee Thai and Sakura Sushi. Before I left, I took a look at the a la carte menu. Much to my surprise and delight, I saw scallops as an appetizer, and pork ramen(!!!!!!!!) as a main. Anyone who's a fan of Japanese food in Finland will tell you how utterly difficult it is to find a place that does good ramen, or ramen at all, outside of Helsinki. They also had some interesting dessert options, and a lengthy sushi menu. Overall, I'd rate my lunch four stars out of five, and I'll definitely be going back there soon to try out that ramen. I enjoyed the decor and the overall atmosphere of the restaurant, and can't really think of anything negative to say about anything other than my chicken and my miso. If they can keep up this level of quality, I think Maiu could be one of the few newer Pori restaurants to actually stick around.